Gunn Ranch Trail is a 6.9 mile moderately trafficked out and back trail located near Winthrop, Washington that features a great forest setting and is good for all skill levels. The trail offers a number of activity options and is best used from September until April. Dogs are also able to use this trail but must be kept on leash. 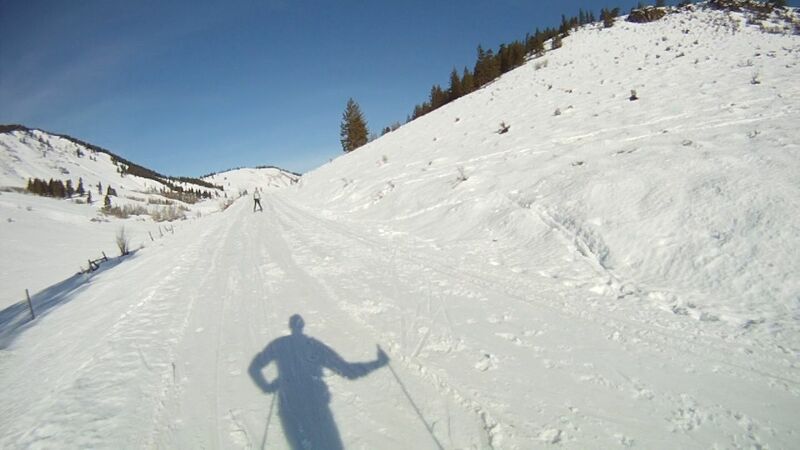 Cross country skiing high above the Methow Valley with spectacular views and picturesque forest. 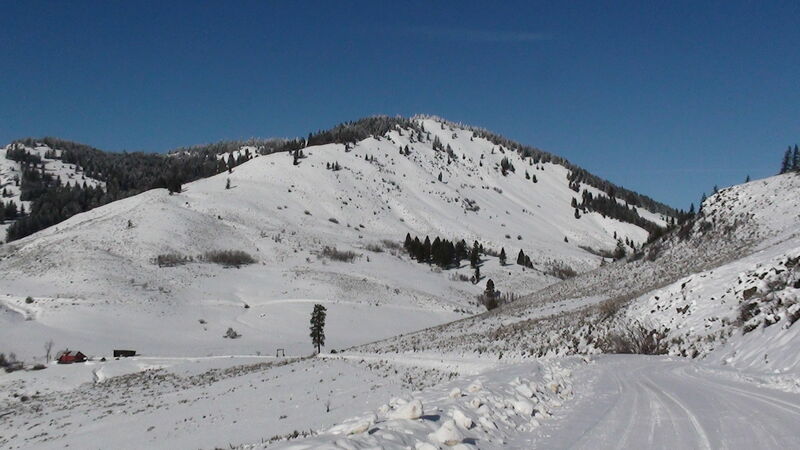 The Gunn Ranch Road Tour starts at the winter terminus of the Gunn Ranch Road which branches off of Rendezvous road about 2.5 miles outside of Winthrop, Washington. The tour climbs from 3000 feet elevation to about 3460 feet. 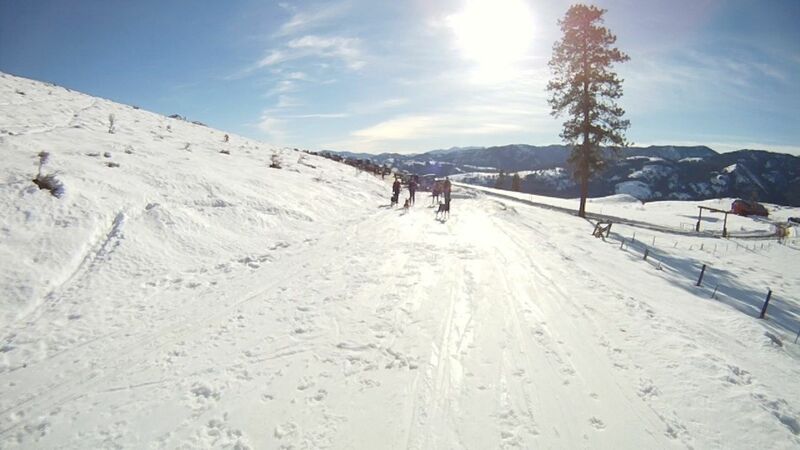 The steady uphill climb require good skating skills if you plan to skate ski the route. Classic skis will get you there easily. 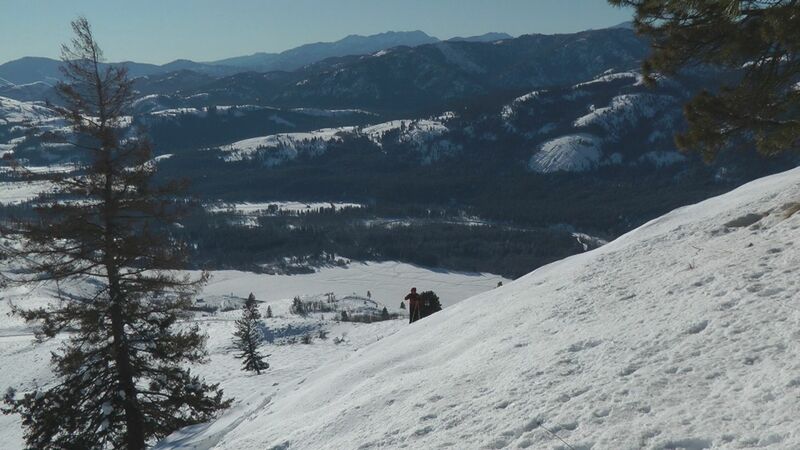 This tour has some of the best views of any tour in the Methow. You'll find people on the trail who have just discovered the tour who are dazzled by the scenery of this route. 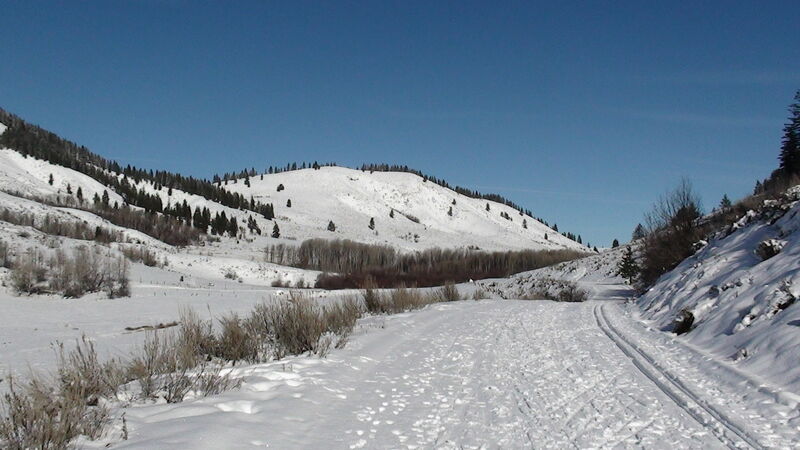 A MVSTA pass is required to ski this trail. 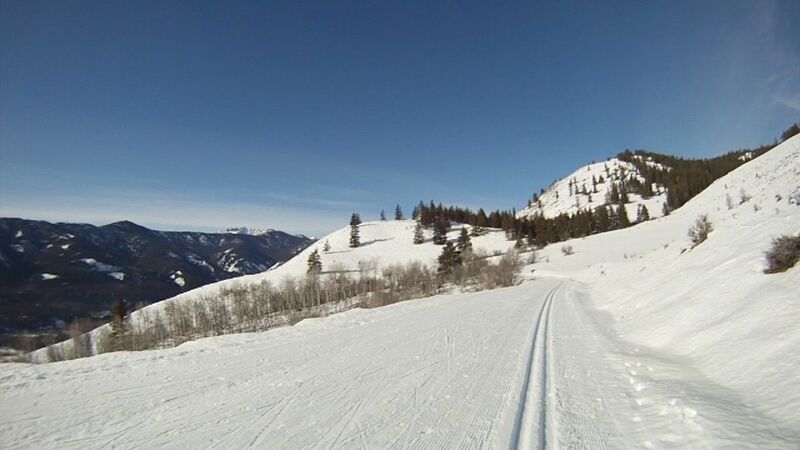 Cougar Mountain lies just 2 miles northwest of Winthrop, Washington and is a local favorite when the snow is deep enough to ski the hillsides of the Methow Valley. In most seasons, this tour is possible in late December through February. 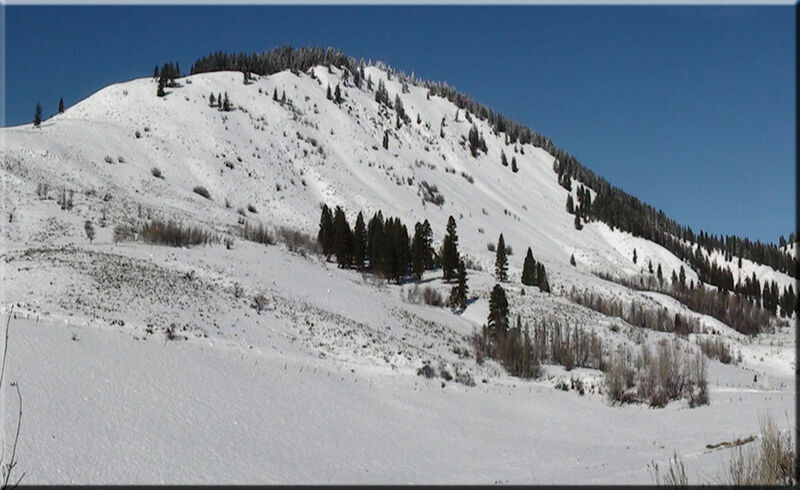 It is particularly ideal with a dump of new snow on top of the base layer that forms early in the season. The climb is short but steep so makes yo-yo-ing the slopes a good option for full day of skiing. 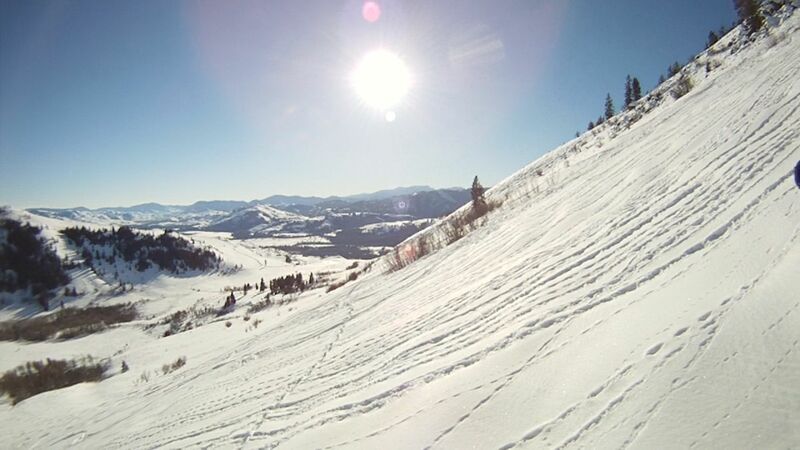 As with most slopes on the east side of the Cascades, the sun can adversely affect the south facing slopes so looking for east or north facing terrain will provide the best snow conditions for skiing. Park at the trailhead of the groomed Gunn Ranch Road crosscountry trail. You will be on the road for a very short time before beginning your climb up Cougar Mountain so you do not need an MVSTA pass for this "front-country" tour. Follow the road north then turn west past the frozen pond on your right. Just as you leave the gully, leave the road and begin to climb the south shoulder of Cougar Mountain. Once on the shoulder, begin switchbacking up this steady slope to the summit ridge. 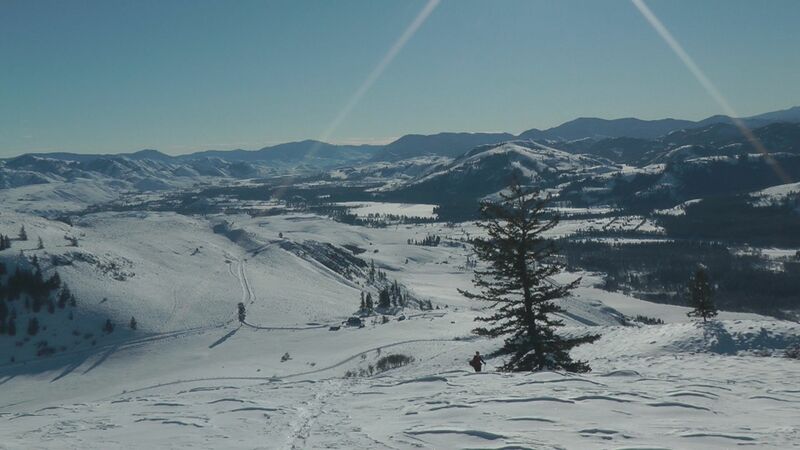 You will have expanding views of the Methow Valley behind you as you climb and will see the two common descent choices on either side of the shoulder (the south face and the east face). Higher up on the ridge you enter a forested area just before you reach the open slopes below the summit. The east face is the steepest run with a few bushes that you may need to navigate around in lower snow conditions. This 1400 ft descent is a fast descent and makes for a good slope to get your adrenaline going for the day. Stay to skier's left or far right on descent as there is a substantial rock collection in the middle of the run. The upper pitches are up to 40 degrees then the run mellows gradually to about 25 degrees at the base. The face receives no direct sun all winter and can harbor powder for weeks after it has fallen. 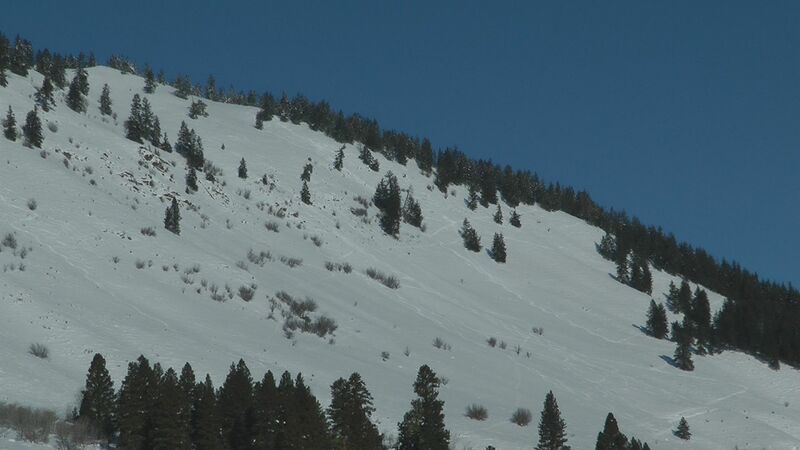 The tree density make make this descent challenging depending on the snow depth. It may be the best run to finish a day of yo-yo-ing the slopes of Cougar Mountain. The south face has more drainage features and is less sun protected that the other descents. 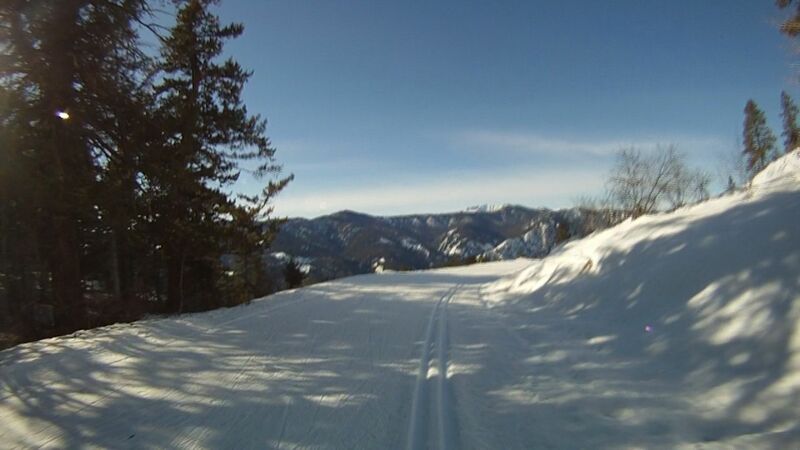 It is less steep and with fresh snow, offers the intermediate skier an perfect run down to the Gunn Ranch road trail. Not advised if a new sun crust that has developed on the surface layer. 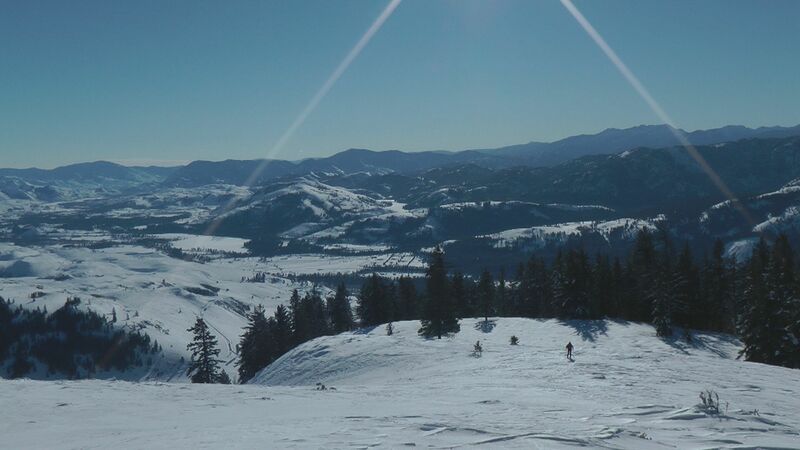 Climb to the true summit of Cougar Mountain and take in the 360 degree views of the Mazama corridor to the west, the Chewuch River valley to the northeast, and the Methow to the south. 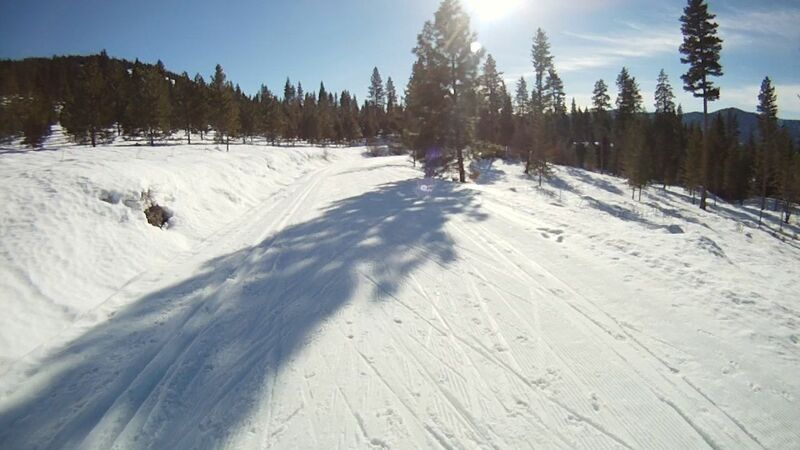 From here you have two open skiing options to the east and south and a tree skiing option to the northeast. This tree skiing run has a moderate pitch and a long descent. The best run starts north about 100 feet below the true summit of Cougar Mountain (the west end of the ridge). The trees are quite dense outside of this shot through the woods so good route finding skills are needed to make your way back to the east, then wrap around the southeast aspect of Cougar Mountain. This is the steepest part of the climb and a great place to pick up some speed on your way down. It is shaded all winter so the snow is cold and fast in this stretch. This ridge line section overlooks the valley below with outstanding views in either direction. From here on out, the climb is steady and not as steep as the initial section. As you climb higher, the Ponderosa pines are widely spaced in this gorgeous forest. The blue sky, deep sienna colors of the pine bark with evergreen limbs come together make it a celebration of the colors of winter here. The trail junction marks the point where you can continue to Rendezvous Pass or the Grizzly Hut. 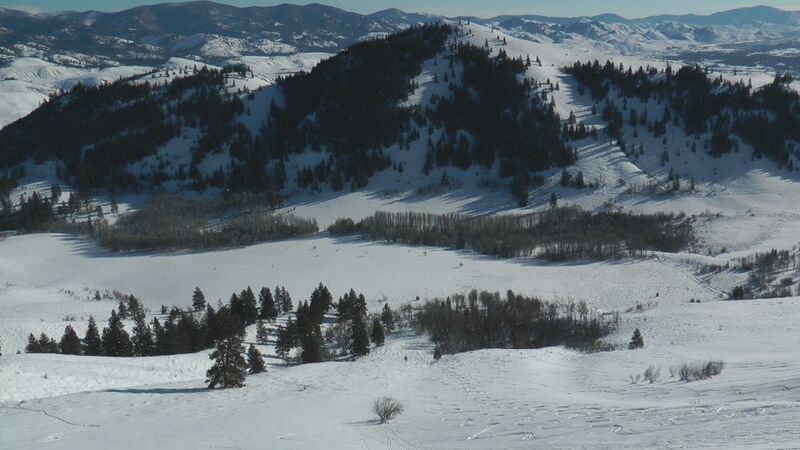 If you have a dog, you can only take the trail to Rendezvous Pass, and not the other trails that are for skiers (i.e. no pets) only. If this is your midpoint, turn around and cruise the road all the way back to the start of the tour. 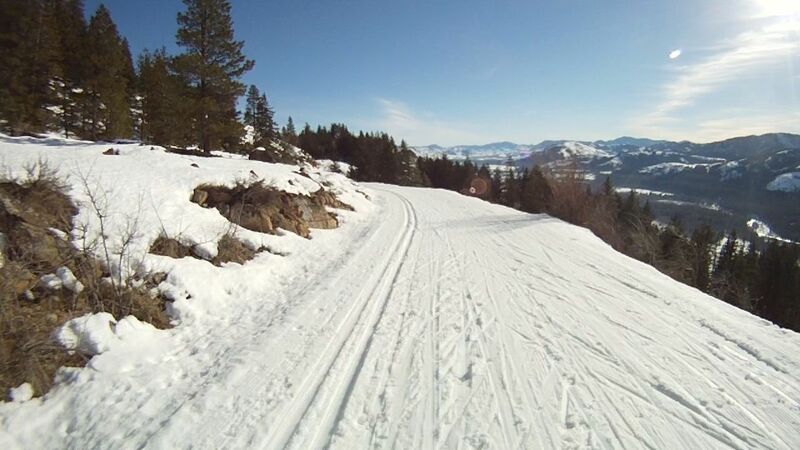 It is a fast ski with great skating or track skiing based on your preference. The trailhead can get crowded so come early or at noon. Rambled along the closed portion of Rte 20. Ran into a coupla snomobilers and five guys who’d skied down from somewhere. Otherwise had the place to ourselves. Pretty.